+ How do I activate the touchscreen? Press your hand or fingers against the screen as if to cover it. + How do I lock my door without a key? Activate the screen and touch the lock icon. + How do I unlock my door with my door code? 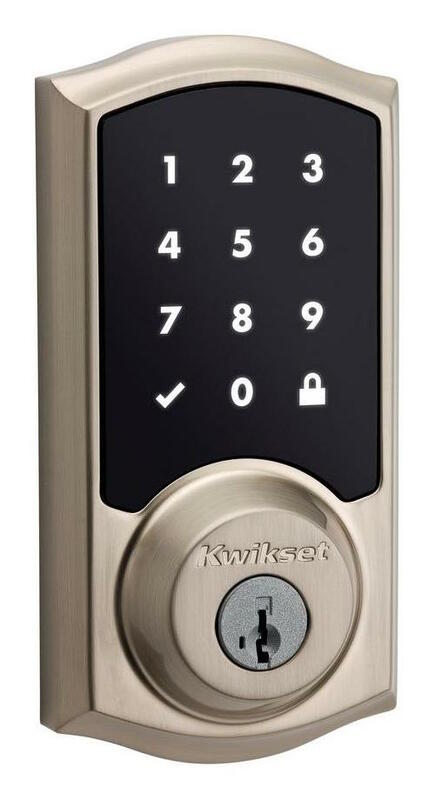 Activate the screen and touch the numbers that correspond with your door code. If you forgot your door code click here to learn how to obtain it. The status LED on the back of the lock will flash red. If your lock batteries need to be replaced, contact your community management and they'll replace the batteries free of charge. + How do I change the batteries? On the back of the lock, unscrew the side and bottom screws. Replace the old batteries with 4 new AA batteries. Replace the cover and screws. Contact Dwelo to resync your door code to the lock.